Showing results for tags 'tactical realism'. https://units.arma3.com/unit/tacticalmyrmidons https://steamcommunity.com/groups/tacticalmyrmidons We all have are real lives and obligations. Games should be fun and relaxing. Yet to fully enjoy Arma 3 one must play tactically, to reap the rewards of planning a mission and excecuting it with their friends. For that reason, Tactical Myrmidons exist. Games should be fun, but also creative. To solve a tactical problem, combat tactics will be used, orders will be followed, and during the game, there will be a certain structure to the ranks of the players. The satisfaction of achieving the goal of the mission while using teamwork is key for us. But nevertheless, this is a community for people to experience friendship, camraderie, and generally relax from their everyday lives. Thats exactly what we aim for in this group - Serious fun. Can't wait to play with you. European Timezones. Events start at Noon GMT. 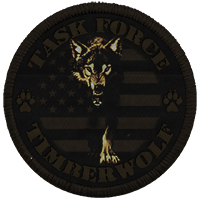 21st U.S Army Rangers "Only The Finest"
Teamspeak: 21starmyrangers.enjinvoice.com Website: http://21starmyrangers.enjin.com/home YouTube: https://www.youtube.com/user/21stusarmyrangers -- 17+ age requirement -- WE DO NOT ACCEPT ANYONE BELOW THE AGE OF 17 -- Why join this group? --More Than Just A Clan-- Weather we are out in the field during an Op, or just enjoying some down time in Teamspeak the 21st is present. We are more than just a group of guys that gather to play Arma this is a community. -- We've Been Here For A While -- This is not some newly started up group. We have been around for quite a while. Our members are experienced and know how to keep a mission together. We had been on ArmA 2 for quite some time and began to switch over to ArmA 3 the day the Alpha was released. We made the official switch at midnight the day the full game was released. --Relaxed Realism-- Realistic gameplay with a laid back style. No drill sergeant screaming here. --Solid Teams-- We operate in assigned platoons within the whole company. This ensures you will always be with people you know and trust. All is controlled by a chain of command. --Welcome Party-- We welcome anybody with the right mindset and the ability to remain mature and collected in realistic combat situations. No special skill-sets required. --Missions Are Custom-- Missions are created from scratch and coded to ensure realistic combat scenarios. AI is actually coded to be smart. Users suggest mission ideas and our map editors make them a reality. --Mods Are Custom-- We have dedicated mod developers that work extremely hard to create custom content for the 21st. Do not limit yourself to what Armaholic or the vanilla game can offer. You will get a realistic military experience here that no other unit can offer. --Training Provided-- New to Arma? Been playing a while but are a bit "rusty"? Have no fear! Our loyal officers will gladly throw you into boot camp and teach you a thing or two. Our boot camp program is conducted on a custom FOB and designed to take you from 0 to 60 as quickly as possible. Learn to be a Ranger! _________________________________________________________________ --Dedicated Servers-- Our multiple - stable dedicated servers are online 24/7 to allow members to play and practice at will. 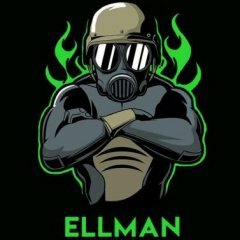 These servers include the cutting edge that the milsim modding community can provide, along with an embedded headless client to maximize performance! --250 Slot Teamspeak-- Our TS3 server is available 24/7 for members to gather and chat. This also allows easy access for the TFAR mod - which grants radio use in during operations.